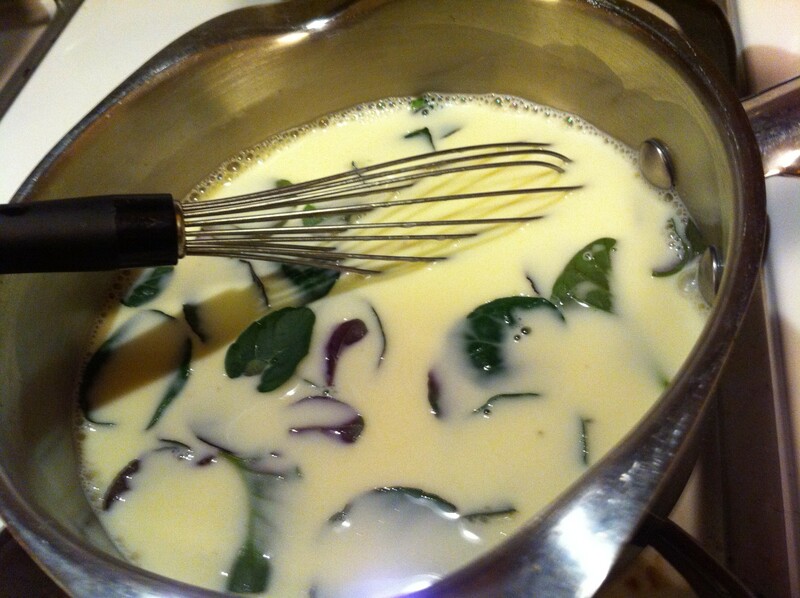 Take mint from the garden, and simmer with milk, cream and sugar. Let steep half hour before heating again and adding to egg yolks. Cool before pouring in machine. 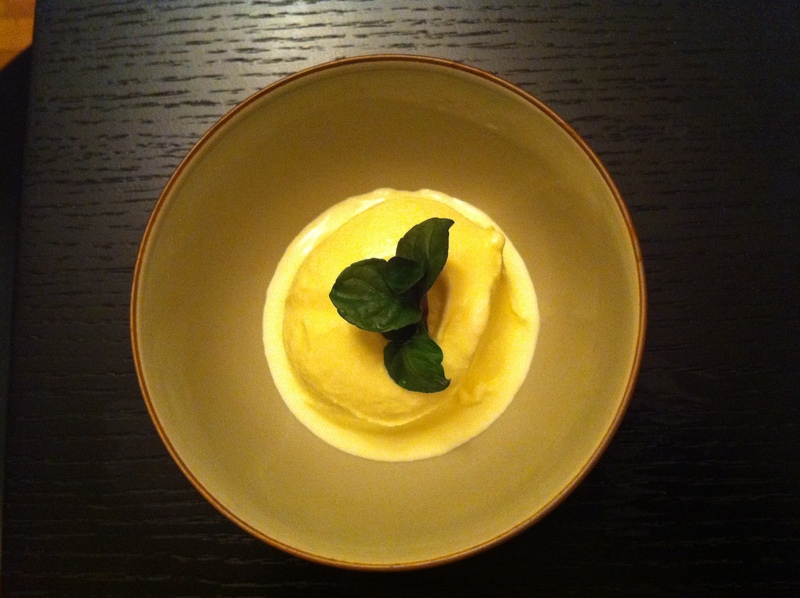 Scoop into bowl, and top with more mint from the "garden." Eat. Yum. 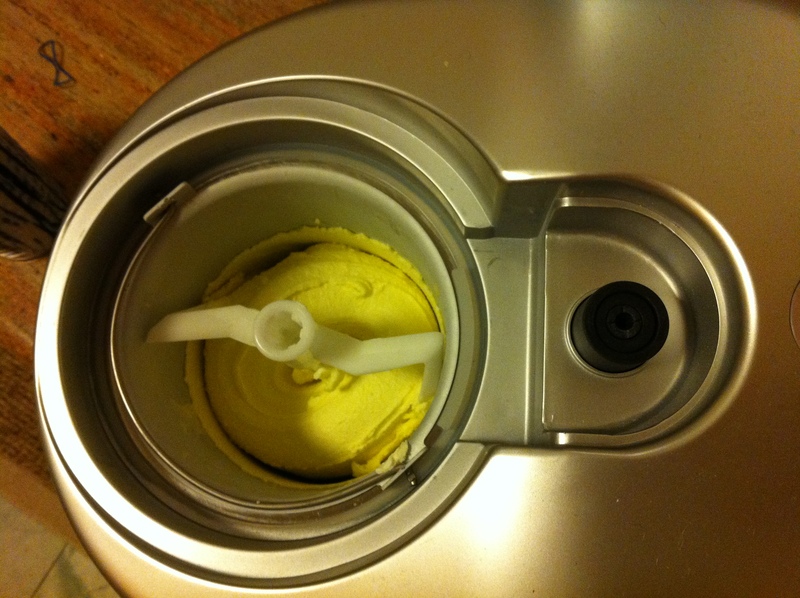 This entry was posted in Food, Garden and tagged bergamot mint, creme fraiche, ice cream, ice cream maker, iPhone, sno.